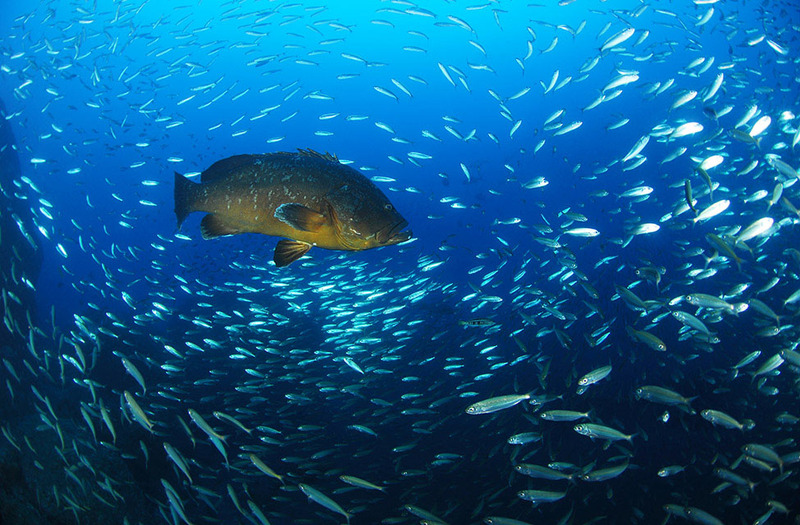 To dive in Madeira is to discover a special underwater world. The Atlantic’s marine life, the dive sites at different depths and their excellent visibility, make this an irresistible activity. With the sea temperature between 18 ° and 24 °C you’ll be able to dive all year round and will not want to stop exploring our sea. 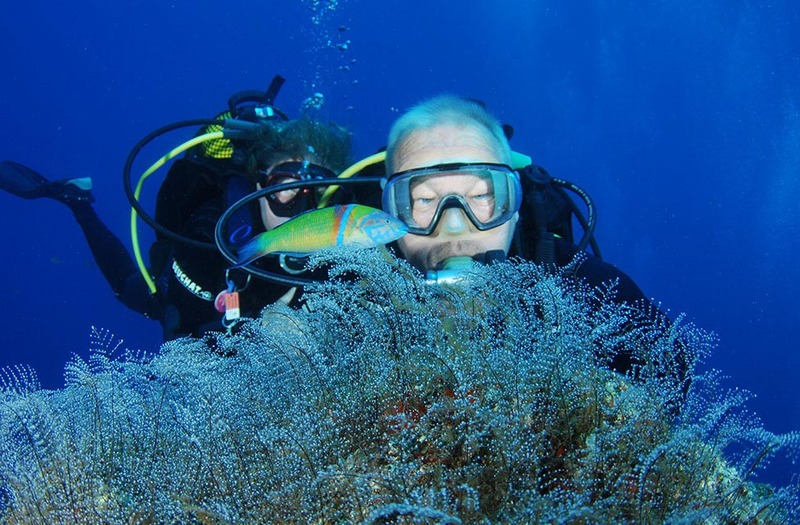 Both experienced divers as well as beginners can find several dive sites without having to travel long distances. 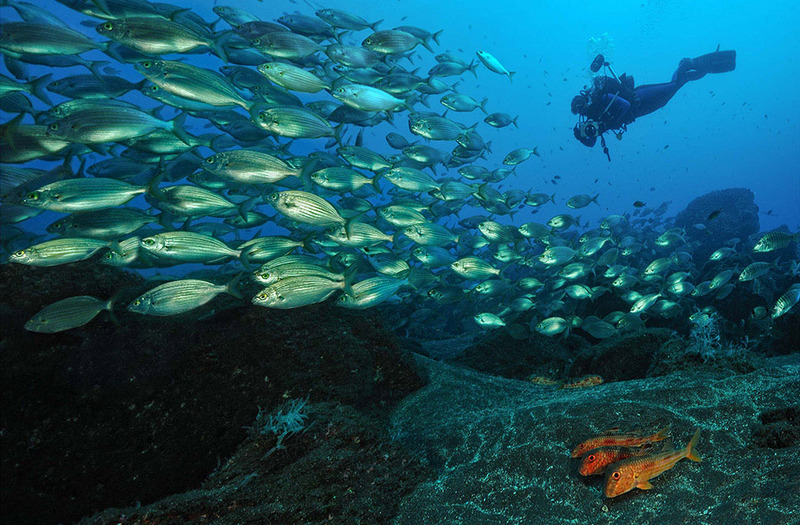 In Madeira there are places where you can dive directly from the beach, such as “Galo”, “Reis Magos” or “Caniçal”. 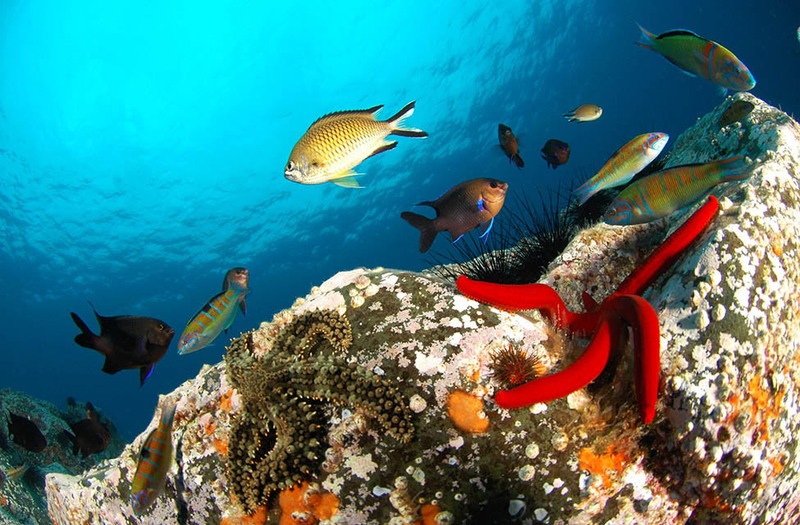 One of the most sought-after locations is Garajau nature reserve, which offers 7 diving spots. Here you can see barracudas, morays, amberjacks, cutlassfish, mackerels, salemas, giant anemones and rays. 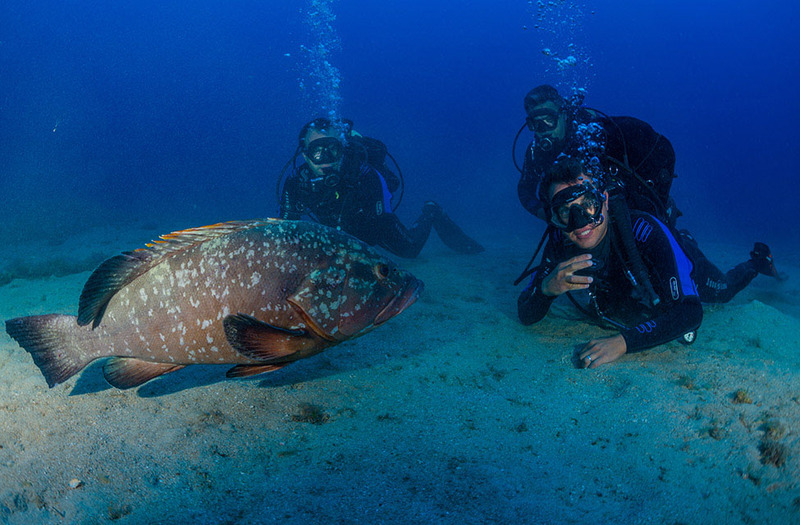 Other features of this place include giant groupers that often come in close contact with the divers. 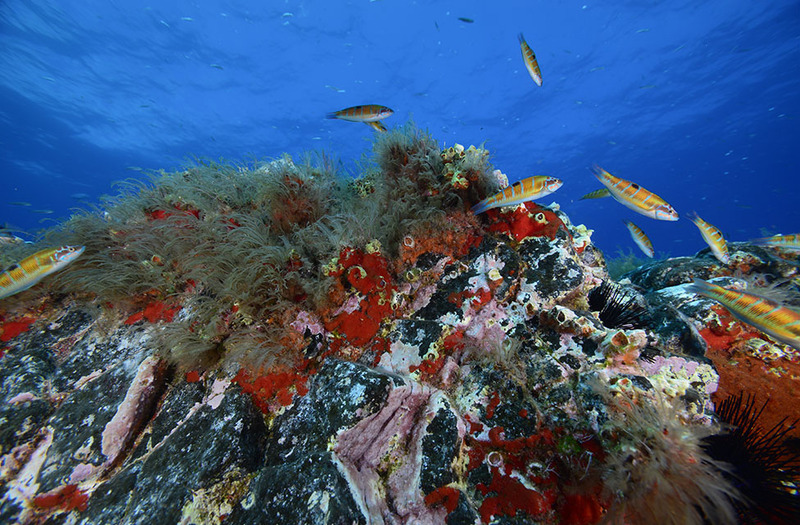 In Porto Santo there’s good visibility up to 40 meters of depth! 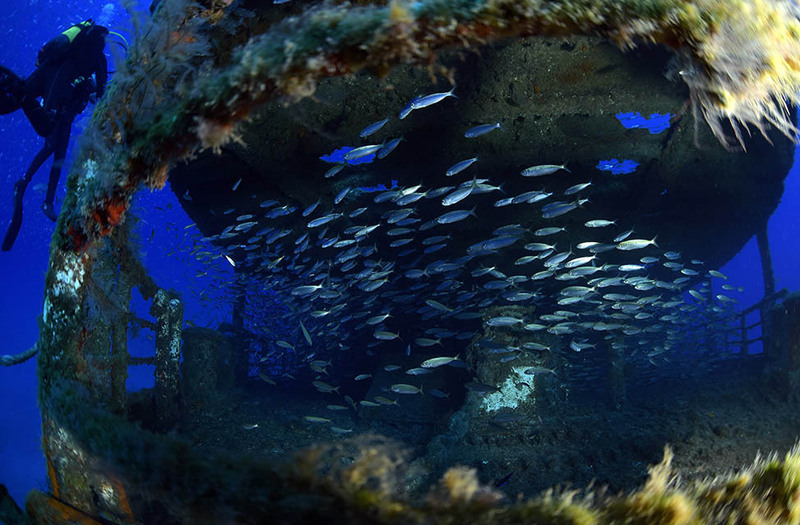 The most interesting diving spots are the artificial reefs formed around shipwrecks sunken at 30 meters of depth. The Archipelago of Madeira was, for many years, a route for passengers and merchandise ships, between Europe, Africa and America. 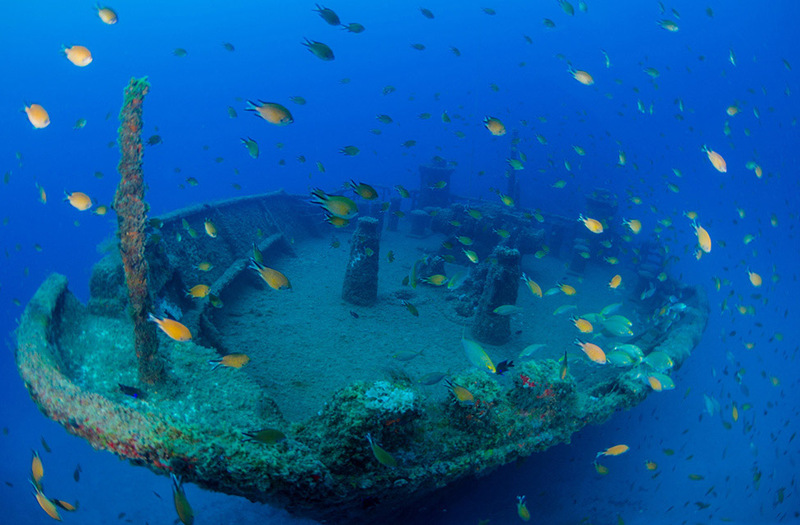 Some of these ships were shipwrecked in our islands, now constituting artificial reefs waiting to be explored. Others were deliberately sunk for this purpose, such as the “Madeirense” in the year 2000 and the Corvette “General Pereira D’Eça” in 2016, both in Porto Santo. 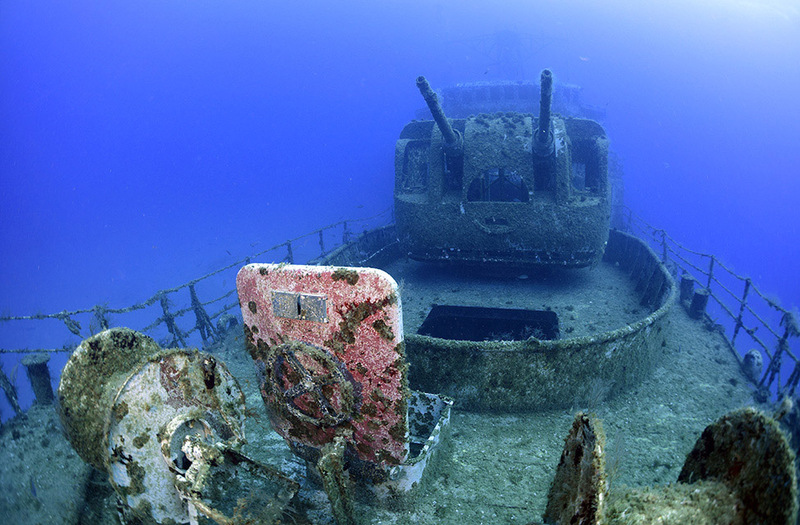 The “Afonso Cerqueira” Corvette was sunk in 2018, in the Cabo Girão Marine Park. On both islands you can find several diving schools and companies specialized in excursions, diving baptisms and equipment rental. 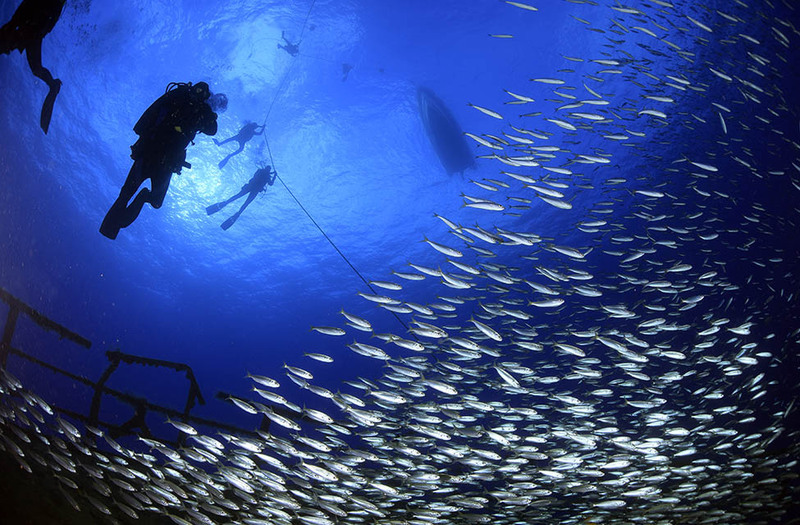 Go scuba or free diving and venture out in the crystalline waters of Madeira. 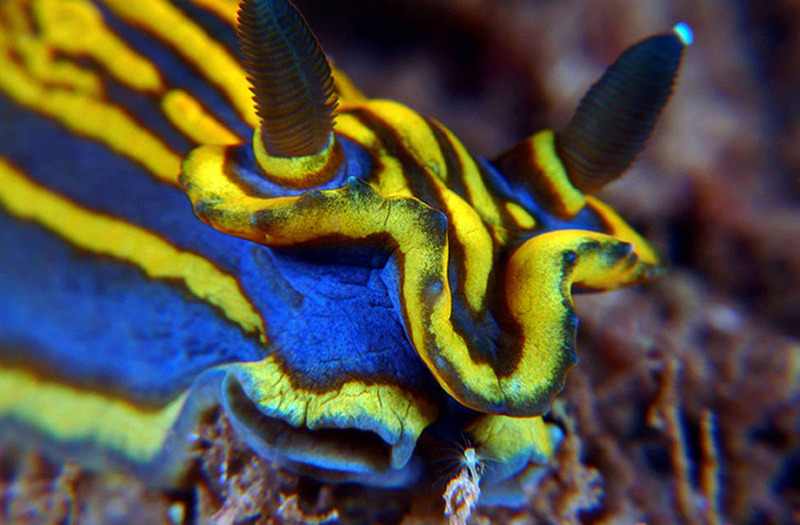 Do not miss out diving in Madeira! Learn more here. "On both islands you can find several diving schools and companies specialized in excursions, diving baptisms and equipment rental."